Why do some teams with similar talent levels succeed and others simply maintain? Why are some families more connected while others are pulling in opposite directions? Why do some teachers have thriving classrooms and others do not? Why do some companies expand with excitement and others limp along? The best leaders and groups of any kind engage the minds and hearts of their people and proactively shape the culture for HOW they move, together. 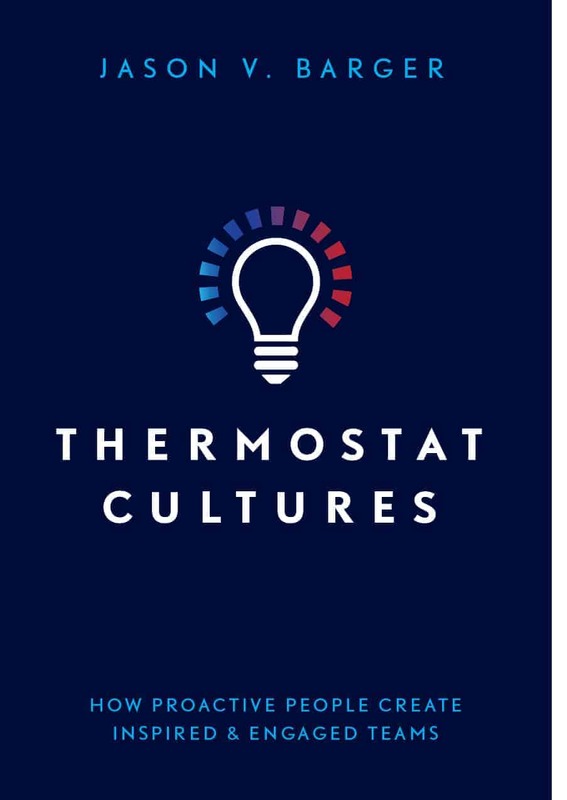 Thermostat Cultures is about the proactive process the best leaders and teams lead in order to inspire and engage the people around them. What temperature will you set with the people in your life and career? ReMember is about coming alive and engaging in your life and work. Are you busy or effective? In a highly distracting world, it’s difficult to remember your highest priorities. 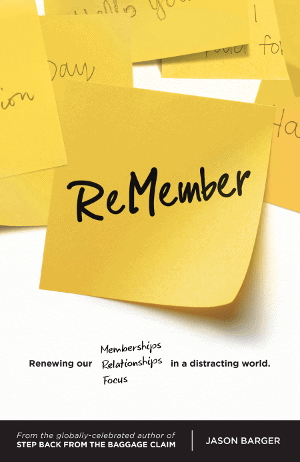 The most successful individuals and groups go through the intentional process to ReMember — renew and recommit to the most important memberships in their lives. This book is an inspiring and thought-provoking journey that will enhance your team at work, your entire company, your marriage, friendships, or the membership organizations you serve. Join and share this powerful conversation! ReMember is the second motivational book written by Jason Barger and has been very successful connecting with teams and organizations looking to impact change in their life and work. 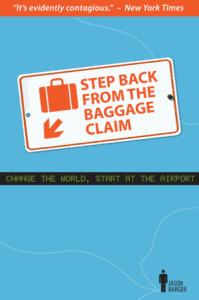 Jason Barger spent seven straight days flying 6,458 miles to seven different cities – without leaving the airports the entire time. 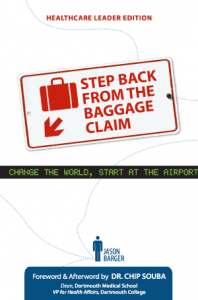 He studied 10,000 minutes of observations at all four corners of the U.S. and reflected on how our airport experiences can teach us about our lives TODAY. 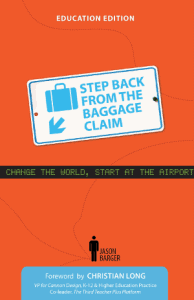 The airport metaphor leaps to life through profound anecdotes about an orphanage in Mexico, a summer camp in Ohio, bamboo, the homeless, climbing Mt. Everest, a hotdog grill, and much more. The funny and inspiring stories remind us how to change our daily world in our personal lives, businesses, schools and faith communities! Join the movement. 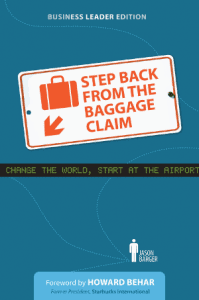 All four editions of Step Back from the Baggage Claim are motivational books perfect for anyone looking to impact change in their life and work. Interested in bulk copies at a discounted rate? If you’d like to purchase a large number of Jason’s books for your organization or event, please contact us directly at info@jasonvbarger.com.